The concept of Free Speech is one that has been debated for decades. Is there a limit? Is there a time when the ‘freedom’ is overstepped and the removal of it from a group or individual is justified? Here is one ‘Progressive’ that does not intend to remain silent on the issue. As any of my regular readers know, I moderate comments on my posts. This is not to deny dissent or discourage discussions on the issues I write about. Rather, this is to prevent certain people, zionists and other racists in particular, from using my Blog as a platform for their hatred. I am not obligated in any way to guarantee the right of freedom of speech to anyone that is prepared to deny that right to millions of people. That is where I draw the line, that is where I remove that right from a person or a group. In the case of Zundel, the man is an admitted supporter of the madness spouted by hitler. For this reason he was deported from Canada back to his native Germany where he stood trial for denying the holocaust took place. To deny the holocaust happened is to deny some six million people the right not only to speak, but the right to life itself. No one should be allowed that right. No one has the right to deny the torture and death of so many people, to do so is to support what happened. Zundel is guilty of a crime, the crime of denial…. denial of those people’s right to live…. for that, his punishment is justified. This is the opinion of one ‘Progessive’. Ernst Zündel is not a man that I want to defend. I certainly do not share his strident anti-communist views, attitude on race, or sympathy for Adolf Hitler. Where I do share a view with Zündel is on everyone’s right to free speech. Zündel exercised this right and has been persecuted for it. Progressives have mainly remained silent on this assault against free speech. 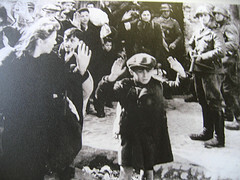 The German media calls Zündel a World War II Holocaust liar. If Zündel is lying, then his lies have killed no one; nonetheless, he is sentenced to five years imprisonment on 14 counts of sedition. On the other hand, George W. Bush and Tony Blair, who clearly lied to carry out genocide (what else would one term 655,000 plus excess killings?) in Iraq, escape punishment and carry the blessings of sizeable segments of their country’s electorate. Is this justice? What particularly inflamed the anti-free speech crowd is that during the heavy media coverage of the early Zündel Trials in Canada, Zündel’s lawyer Doug Christie threw much of the imposed WWII Holocaust history into serious doubt. The trial generated serious skepticism for claims of an order from Hitler for the extermination of Jews, for the six million fatalities usually cited, and for the use of gas chambers. This was embarrassing for people who seek to maintain an unchallengeable view of the WWII Holocaust that conforms to the Holocaust Industry’s extortion racket. Presiding judge Ulrich Meinerzhagen declared Zündel had “endangered the public peace.” In other words, the German “justice” system determined that free speech is a danger to public peace. Indeed. In his closing statement, Zündel challenged the district court to initiate an investigate of the WWII Holocaust by an independent, international committee of experts. He offered to publicly apologize in a press conference to Jews, Israelis and the world if the committee disproved his claims. Imprisonment for speaking controversially is a travesty for justice and human rights. A public apology seems a much fairer punishment for speaking falsely. Yet, a burning question remains: why will the authorities not accept a forensic challenge that should silence WWII Holocaust skeptics? Refusal to do so only deepens suspicion of the imposed verisimilitude. Meanwhile, the injustice is turning Zündel into a free speech martyr. Racists always want to frame it as a fight for free speech in order to trick people into supporting the expression their hateful views. We saw this with those Muhammad cartoons last year, idiot right wing news hosts were rambling on about freedom of speech while in the same breath condemning those who protested or spoke out against those racists. As it was in Goebbels’ time, the capitalist owned media continues to play its role as a voice for fascism and hatred by disguising it as freedom. Furthermore, there should be no need for a “forensic challenge” into the Holocaust. There is plenty of evidence, however these skeptics are simply deluded and try to trick people into following them. They just believe that there is no evidence because the crazed conspiracy theories fit their racist beliefs and they have never been to Germany or Poland. Zundel’s book has been proven to be all lies. As a Canuck, I say good riddance to Mr. Zundel. Thank you Brian… and as a fellow (ex) Canuck… I echo your sentiments.